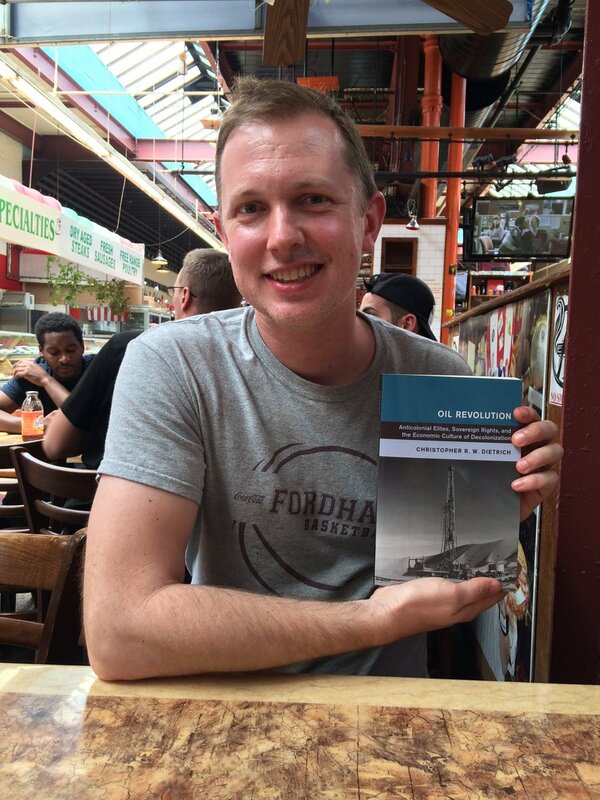 Students in Fordham’s MA and PhD programs produce original research of the highest quality, and are encouraged to publish this work when and where it is appropriate during their time in the program. The academic year 2016-2017 saw the appearance of articles by a number of our students in different peer-reviewed volumes and journals. We asked our students who published their work to tell us a little bit about the articles and the writing process and we’ll feature these students and their publications in a short blog series. 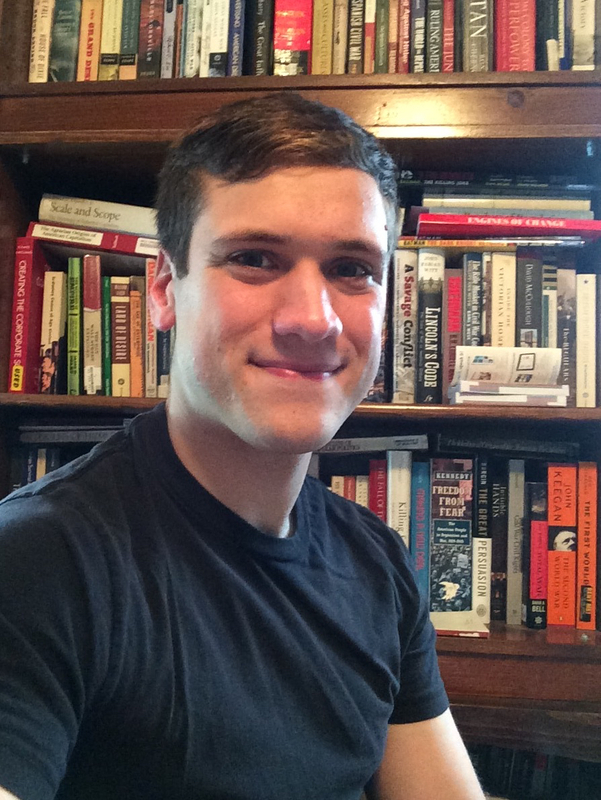 This week we report on an article published this past year by History PhD student Jeffrey Doolittle. 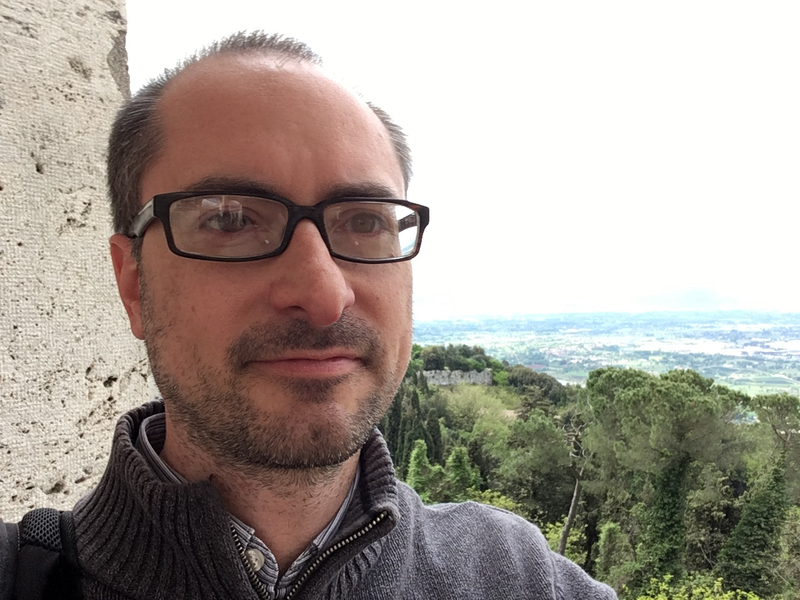 We recently heard about Jeff Doolittle’s adventures in the archives at the abbey of Montecassino in Italy, where he has been researching medical manuscripts on the earlier middle ages. His article, however, tackles a very different question in a much later period. Entitled “Charlemagne in Girona: Liturgy, Legend and the Memory of Siege” it addresses a liturgy composed for the emperor Charlemagne that was written in a fourteenth-century manuscript. The article was published in The Charlemagne Legend in Medieval Latin Texts, ed. William J. Purkis and Matthew Gabriele, pp. 115-47. Cambridge: D.S. Brewer, 2016. This article has certainly changed a lot since it began as a seminar paper in Dr. Nicholas Paul’s graduate course on the crusades some six long years ago! In its published form, part of an edited volume by William Purkis and Matthew Gabriele on the Latin legends of Charlemagne, my article provides a brief overview of the cult of St. Charlemagne in Girona, Spain, which was celebrated in the cathedral of the city from the middle of the fourteenth century up until its suppression in the late fifteenth century. Central to Girona’s unique liturgical office was a narrative of Charlemagne’s role as a liberator of the city from the Muslims in the context of a dramatic siege, ultimately aided by the miraculous intercession of Mary. To make matters more interesting, there were no indications from other sources that Charlemagne himself had ever stepped foot in Girona nor had directed any attack against the city; the tradition seems to have been a later medieval development. I focus on the narrative of siege in the article, and argue that the fourteenth-century liturgy’s emphasis on Charlemagne’s imaginary siege of Girona and his triumph should be read against the much more recent and traumatic siege, also at the hands of a French crusading king from the north during the Crusade against Aragon (1284-5), where Girona was also the victim. 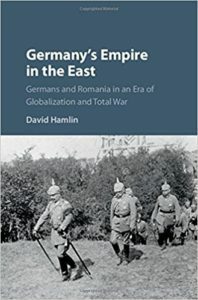 This project has taken a long journey as it has transformed with Dr. Paul’s help from an inchoate seminar paper to a more focused conference paper given at the International Medieval Conference at a session organized by Drs. Purkis and Gabriele, and finally to a published contribution in their volume. Above all, I am grateful for the guidance and constructive comments at each juncture from many people, all of which helped effect this transformation. This week we highlight the work of Louisa Foroughi, a PhD candidate mentored by Dr. Maryanne Kowaleski. Louisa recently published a book chapter entitled “‘If yt be a nacion’: Vernacular Scripture and English Nationhood in Columbia University Library, Plimpton MS 259.” The chapter was published in the collection Europe After Wyclif, edited by J. Patrick Hornbeck II and Michael van Dussen (New York: Fordham University Press, 2017), pp. 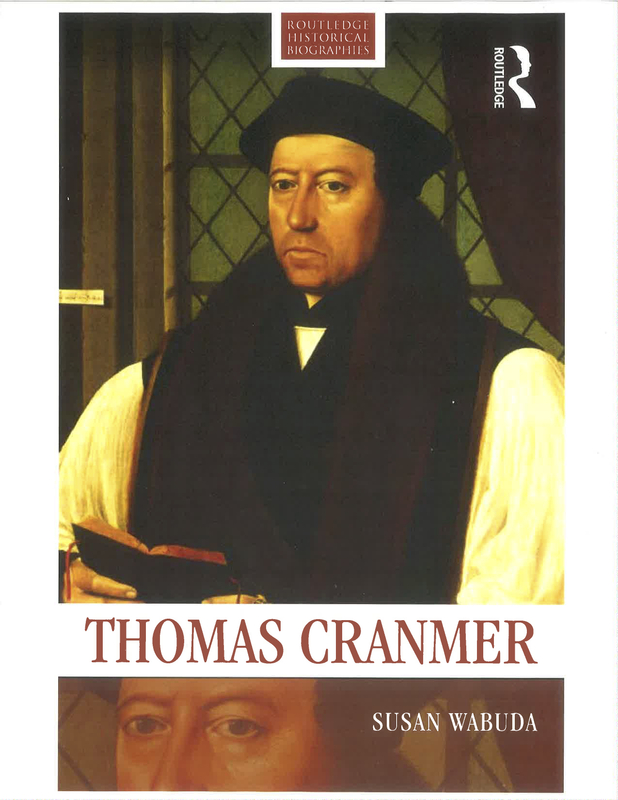 265-287. .
Louisa’s work puts two heretical tracts from fifteenth-century England into their social and religious context. 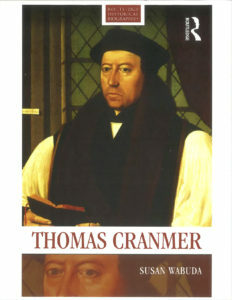 These two tracts were likely written as part of a series of debates over bible translation that took place at Oxford in the late fourteenth century, sparked by the reformer John Wyclif. His ideas and the English bible produced by his followers were both condemned as heretical by Archbishop Arundel in 1407, but, as Louisa’s work shows, interest in and desire for an English bible continued through the end of the fifteenth century. The story of how Louisa came to write this piece is a tale of true interdisciplinarity, and it underscores the dynamic nature of medieval studies at Fordham. Louisa found these tracts, one of them previously unknown to scholars, during a manuscript studies class led by Dr. Susanne Hafner that she took in the first semester of her master’s degree at Fordham’s Center for Medieval Studies. She subsequently presented a talk about the tracts at a conference organized at Fordham by J. Patrick Hornbeck II of Fordham’s Department of Theology and Michael van Dussen of McGill University, and her work was published in the peer-reviewed edited collection of papers that developed out of that conference. 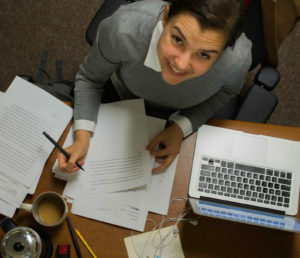 Louisa’s archival research on the owners of the tracts during summer 2014 led her to develop a dissertation project that explores the tastes and self-construction of yeomen in late medieval England, a project that has been generously funded by Fordham’s History Department and the Graduate School of Arts and Sciences. Congrats, Louisa! We look forward to reading about more exciting discoveries from the archives. This week we feature the work of Elizabeth Kuhl. 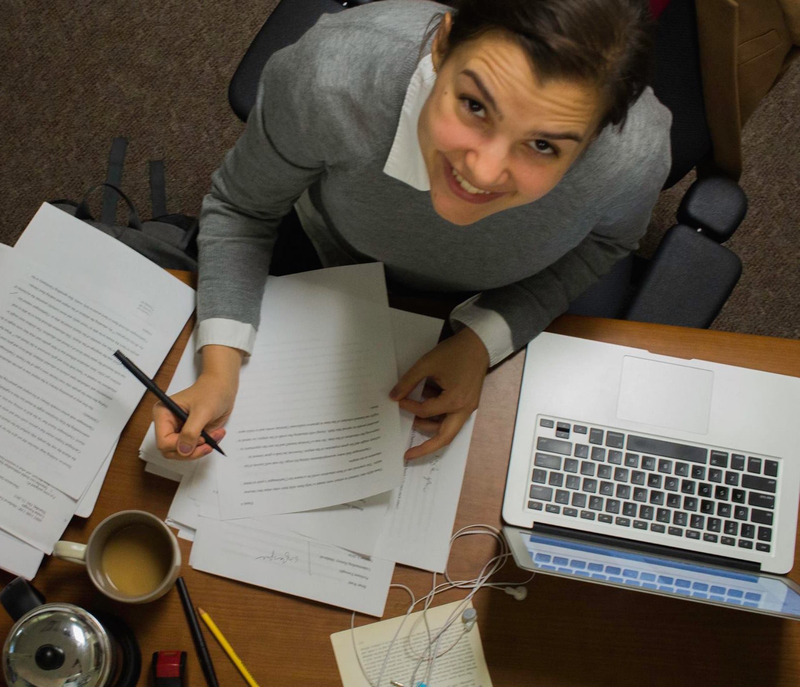 Elizabeth is a medievalist in the final stages of her PhD at Fordham. Publishing is nothing new for Elizabeth: the first fruits of her dissertation were published in the Journal of Medieval History in 2014. 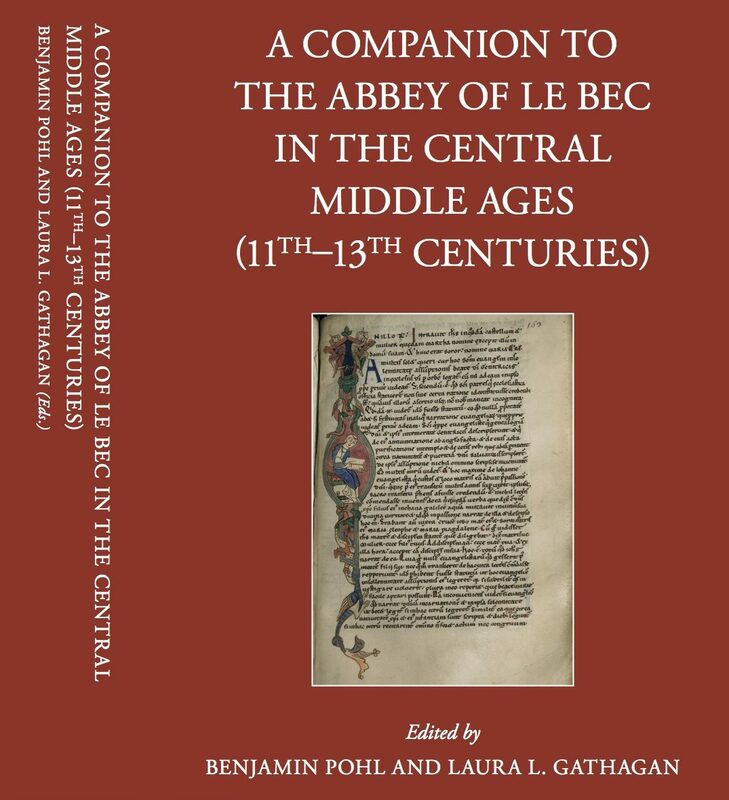 She recently published her second article: a contribution to the volume A Companion to the Abbey of Le Bec in the Central Middle Ages (11th-13th Centuries), edited by Benjamin Pohl and Laura Gathagan. We reached out to Elizabeth to ask her a bit about the article and how it relates to the work she’s done for her dissertation. 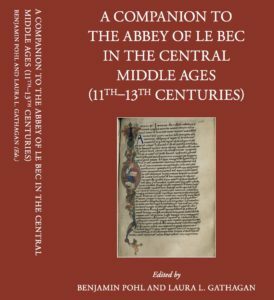 My article focuses on education at the monastery of Bec in the central Middle Ages. Evidence for how schooling worked in this period is limited, so I used books the monks produced to get at their topics and methods of study. The monks combined excerpts from classical texts on the trivium with patristics and with their own works in many genres. It seems that creating this kind of personal florilegium was a common part of intellectual life at Bec. The books show that the monks were in touch with methods of education at the nascent universities, but that they also had their own emphasis on integrating literary and logical skill into a total way of life centered around study and prayer. While doing archival research for my dissertation, I looked at as many surviving manuscripts from Bec as possible, and noticed that a number of them shared these characteristics; my preliminary conference paper on the manuscripts eventually turned into this chapter. Thanks Elizabeth, and keep up the great work! Throughout this past spring, I have been happily ensconced in Italy conducting research for my dissertation. 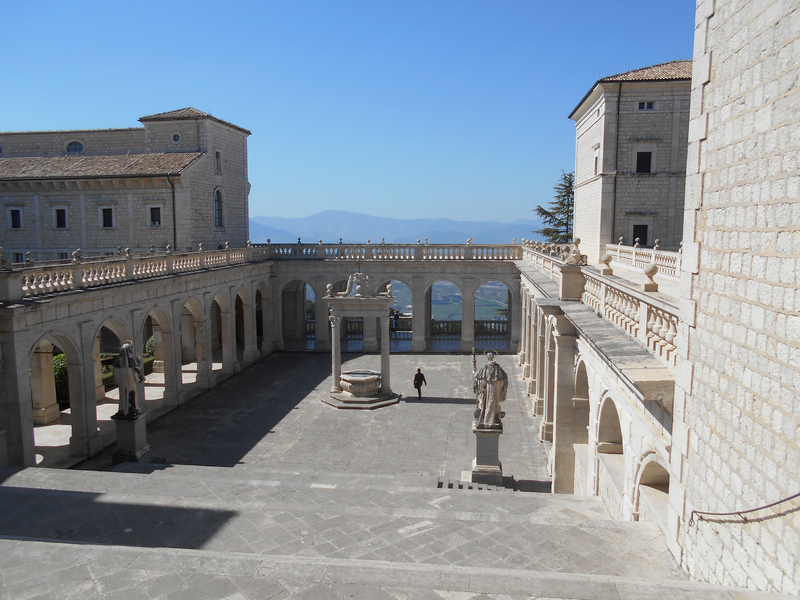 I am currently exploring the medical culture of the Benedictine abbey of Montecassino in the ninth-century through a study of one of its products, Archivio dell’Abbazia, Codex 69, a project that requires an extensive codicological and paleographical analysis of a small corpus of manuscripts written in the Beneventan script. Thanks to a GSAS Research Fellowship, I was able to visit a number of archives in Northern Europe last fall; this spring and summer, I spent most of my time in Cassino researching at the Archivio dell’Abbazia of Montecassino under the patient guidance of the archivist, Don Mariano Dell’Omo. St. Benedict’s famous monastery, of course, is located at the top of a mountain, and the archive is also only open in the morning when buses do not run. So I woke up especially early and hiked up every day, a trip that ordinarily took about 1.5 hours. Fortunately, and in the spirit of Benedictine moderation, I did not have to walk both ways; there was a bus to come back down. When not at the Archive, I was able to make use of the resources of the “Laboratorio per lo studio del libro antico” at Università degli Studi di Cassino e del Lazio Meridionale and its incredible digital library of medieval manuscripts, and I remain especially thankful for the expertise and kind assistance of the curators of the laboratory, Drs. Lidia Buono, Eugenia Russo and Stella Migliorino. 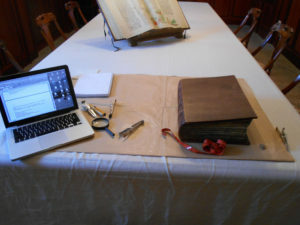 Using Cassino as a base, I have also been able to visit the Biblioteca Medicea Laurenziana (Florence), the Biblioteca Casanatense (Rome), the Biblioteca Apostolica Vaticana (Vatican City) and the Biblioteca Nazionale in Naples. Since July 1, I have moved on to the United Kingdom where I will deliver a paper at the International Medieval Congress at Leeds. I will also visit a few additional archives in the UK and Ireland including the Hunter Library in Glasgow, before returning home by the end of July. Thanks for the postcard, Jeff. We look forward to seeing you when you’re back and hearing more about your research and archival discoveries. PhD student Stephen Leccese, who recently published two journal articles. “John D. Rockefeller, Standard Oil, and the Rise of Corporate Public Relations in Progressive America, 1902-1908,” Journal of the Gilded Age and Progressive Era 16.3 (July 2017): 245-63. This article is a shortened version of my Master’s research paper, which Prof. Chris Dietrich advised. I became interested in progressivism in Prof. Dietrich’s American Political and Intellectual History since 1877 class, particularly on how the “robber barons” defended themselves against attacks from progressive muckrakers who exposed businessmen’s unethical practices. For a case study, it was natural to look at the Standard Oil Company, the most visible of the great trusts and the subject of muckraker Ida Tarbell’s classic The History of the Standard Oil Company. Since the Supreme Court successfully dissolved Standard Oil in 1911, historians have exclusively considered the company’s response to Ida Tarbell insufficient from a public relations perspective. Yet from what I saw, no historians had actually examined what the company did do. That was how I found my historiographical gap. I decided to go into the archives and tell the story of how Standard Oil and John D. Rockefeller attempted to recover their reputations with public statements, official histories, and some of the first professional PR agents in American history. When placed in historical context, this response was groundbreaking – the field of PR was in its infancy, so Standard Oil agents were largely making this up as they went along. Going further, I tied this small study to the Progressive Movement at large. In the Standard Oil case, progressives attacked a corporation, and that corporation defended itself by developing the PR field. This started a trend of other businesses following suit, and by the 1920s the modern public relations field was largely established. Therefore, I argue that the anti-business activities of the progressives inadvertently helped big business establish itself. The editor of the Journal of the Gilded Age and Progressive Era liked this provocative argument about progressivism, and it definitely helped get this article published. “Economic Inequality and the New School of American Economics,” Special Issue – Growing Apart: Religious Reflection on the Rise of Economic Inequality, Religions 8.6 (2017): 99-110. This article began life as my first-year PhD research paper, where I examined how a new generation of American economists argued that consumer spending was key to economic growth, breaking from previous classical economics. After some revising, I presented the paper at the Growing Apart: The Implications of Economic Inequality Interdisciplinary Conference at Boston College in March, 2016. After the conference, the organizers contacted me and said that my paper was among a group that they would like to publish in a special issue of the journal Religions (the conference sponsor was the BC theology department, hence the journal choice). I accepted and expanded the paper into a peer-reviewed piece. In the article, I examine how the various crises of the late nineteenth century – namely economic depression and increasing labor unrest – showed a group of younger economists that economic inequality was harmful to the social fabric. They argued that greater equality would create a working class that had increased spending power, which would lead to economic growth and more stable class relations. My main sources were numerous economic publications and several archival collections that these economists left behind. After establishing this new theory of consumption, I trace how the New Economists tried to put their ideas into practice. Importantly, they formed the American Economic Association in 1885 with the intention of spreading their message among the economic community. I conclude briefly by showing that by the 1890s, the New Economists were influencing public policy by working with politicians – particularly, several directly advised Theodore Roosevelt, first when he was governor of New York and later when he was president. The overall claim is that mass consumption was an aspect of social reform, something that is typically not considered in histories of consumerism. Thanks Stephen, and congratulations on your two articles!